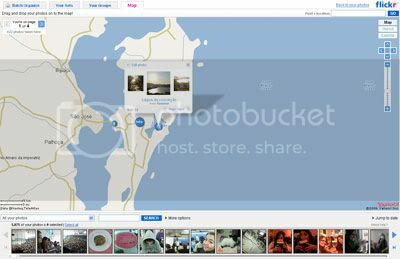 Flickr has just released its new feature, Geo Tagging, where users can set where the pictures were taken and show it on the map, using Yahoo Maps system. 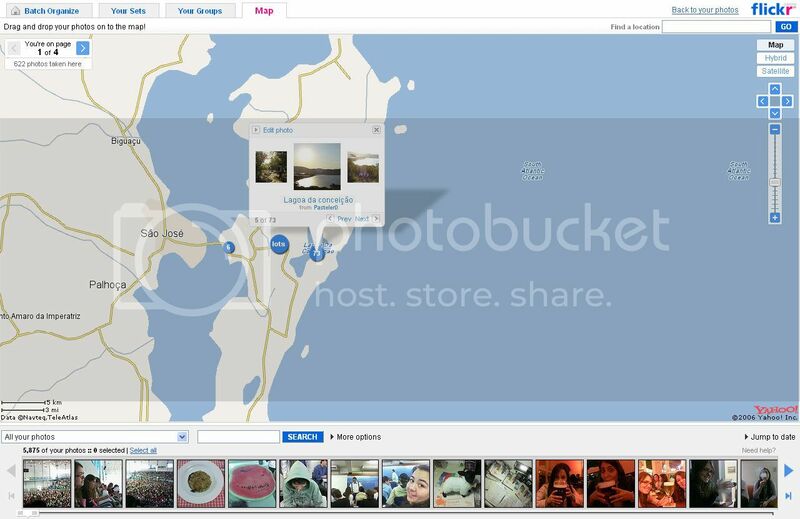 If you have an Flickr account, you can go to your Organizr menu and from there, select the Map option. You can add as many pictures you want from any point on the world map. Map quality isn’t as good as Google Maps, but are quite good on USA and other places. I live in Florianópolis, images aren’t sharpen enough, but I hope soon things will get better. You can drag anywhere onto the map – a degree of “accuracy” is inferred by your current zoom level, so if you just want to show the city or general area a photo was taken, you can drag them on at a medium zoom level and those photos won’t show up in odd places for people zoomed right down to street level. In the upper right corner you can search for locations – city names, airport codes, US zipcodes and postal codes in several other countries, street addresses (US/Canada only for now, but more soon), many landmarks and points of interest worldwide, even names of neighborhoods in larger cities around the world. 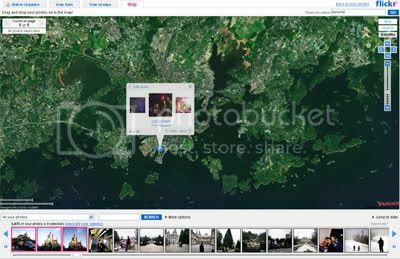 You drag multiple photos at once for quick mass-geotagging. The drag-and-drop map tab in the Organizr. 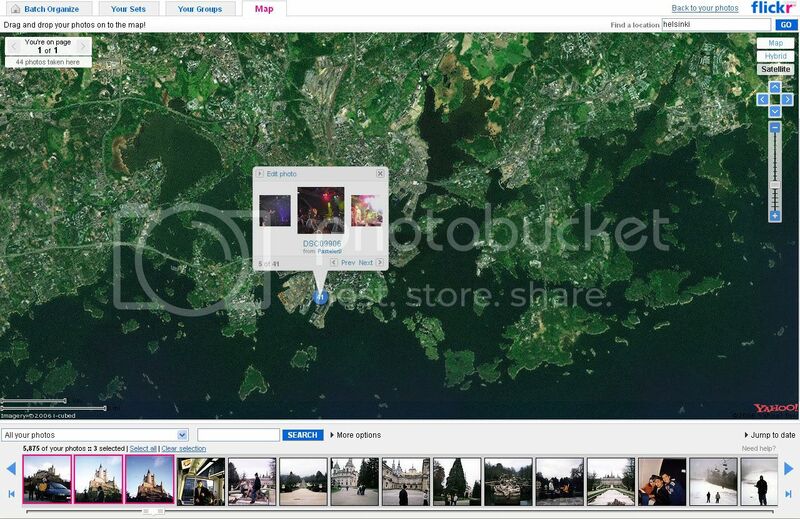 Double-click a photo and click “location” in the editing dialog to set individual photo privacy. You can get a link to particular map search by clicking on “Link to this” in the bottom right corner of the map – cut and paste from the address bar if you want to put it in an email or blog it. You can search by text/tag in a given area (e.g., architecture in Europ or chose from your groups or contacts to filter what appears on the map. Photos load in “pages” of about 250 photo records per page. The results are clustered right in your browser and show up as pink dots of various sizes with a number that indicates how many photos there are in that location. Click on the dots to cruise through small versions of the photos. Expand or click on the center photo to see the larger version. I’m very happy for this geotagging update on flickr because I travel a lot, and it is good to look some pictures of the place. 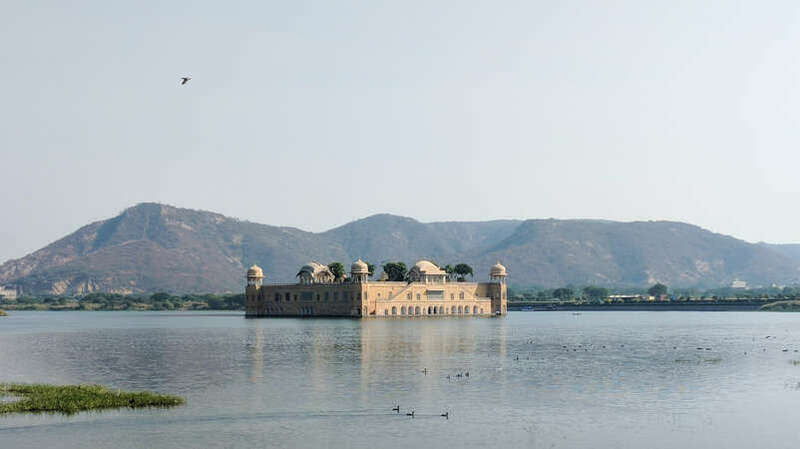 Somehow a complement to Yahoo Maps, it’s something Google doen’t have! Beware google! More on the Flickr Blog.